First Presbyterian Church has a long history of excellence in church music, and that tradition continues. 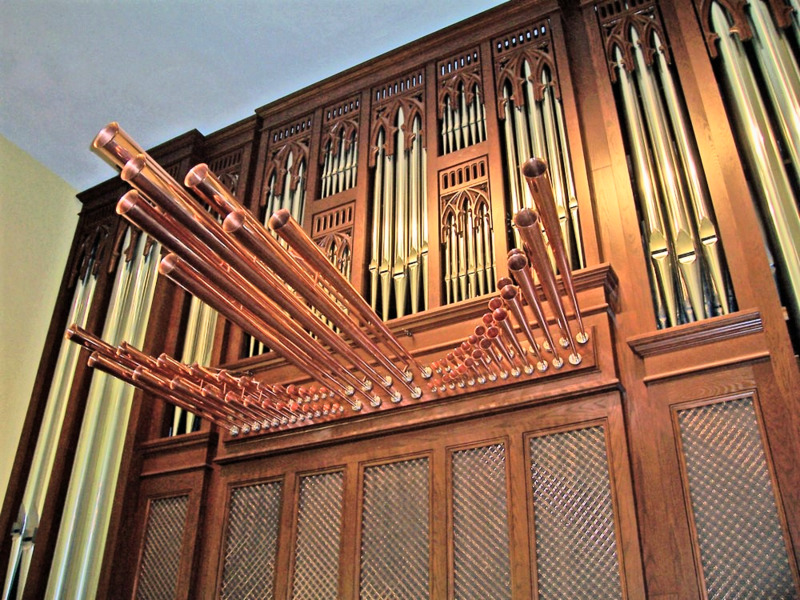 Our worship services are supported by our Casavant pipe organ. The organ is the largest church organ between Memphis, Tennessee and Jackson, Mississippi, and our sanctuary provides near perfect acoustics for both instrumental and vocal music. Throughout the year, worship services are enhanced by vocal and instrumental solos and ensembles. We typically have a brass ensemble for Easter Sunday and a choral Christmas service. Our Chancel Choir serves by leading the congregational singing in our services of worship on a weekly basis, as well as by providing anthems and music offerings to inspire and enlighten our faith journey. This group is open to high school youth through adults who are able to match pitch. The Chancel Choir's weekly rehearsal time prepares them for this significant ministry and develops a close-knit sense of fellowship. Some members of the choir have more musical training than others, but all share a strong commitment and personal reward from their united efforts. The Chancel Choir meets on Wednesday evenings at 6:00 p.m. in the Choir Room. Children take part in a once-a-week music, Bible, and enrichment program we call Choristers. Our children learn about hymns and worship music and they prepare anthems to share with the congregation in services. In the process of developing musical skills and learning the scriptural and theological texts that they sing, these young children explore their creative expressiveness, an opportunity that nurtures the whole person. Choristers meet on Wednesdays at 5:00 p.m. in the Maxwell Reception Room just off Shuler Hall in the Education Building. If you have interest in participating in the music ministry at First Presbyterian Church, please contact Ray Smithee, our Director of Music & Organist, via email by clicking here.